“Bank” is a four letter word at the moment with most major banks dealing with an angry, pitch-fork-wielding customer base. Not Bendigo Bank in Pyrmont. The small, village style bank has virtues as old world as the sandstone walls of the heritage building it occupies. They take the “community” in their name seriously and are proactive in nurturing local economy and supporting small business. Manager, Garry Noel, is approachable and genuine. He looks for opportunities to get involved in community events, support local causes, and forge real relationships with customers. 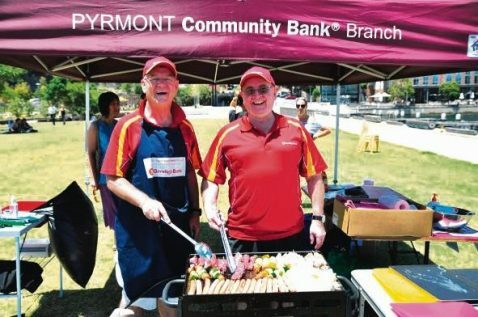 Pyrmont Community Bank holds regular events to raise money for local charities and foster neighbourhood spirit. They sponsor school, sports and community activities and have even helped create a Pyrmont Edition of Monopoly… and no, it doesn’t have real money.